Thanks to all the organizations who have produced materials to help nonprofits raise the issues and advocate for underserved communities. 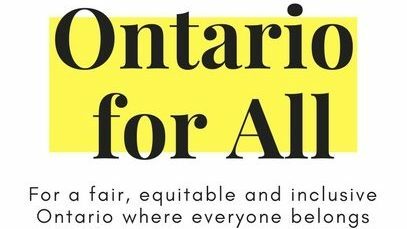 Here are some resources we have found invaluable, organized by the five key issues organizations in the Ontario For All network are rallying behind. Click on the issue area to see the resources in that area. If you want to learn more about how to organize and engage in nonpartisan democracy, click here for links to resources that have helped us along the way. Have a great resource to add? Let us know!